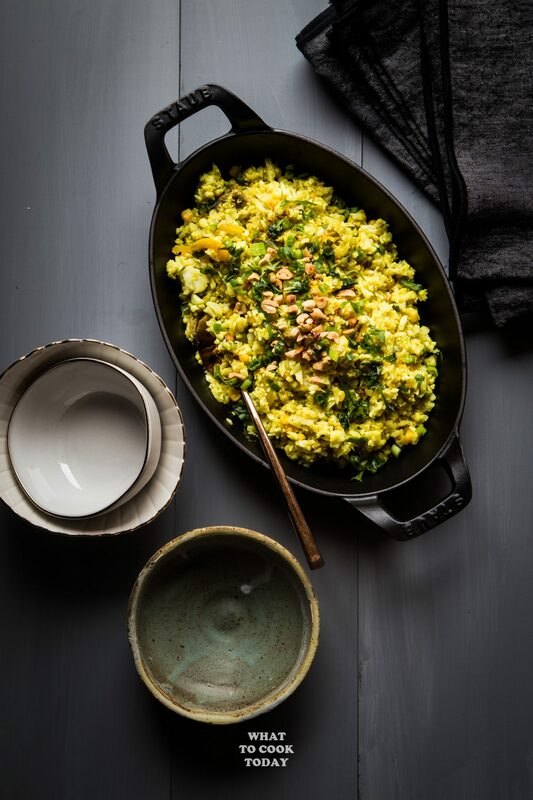 When my father in law came this past Summer, he thought I was making fried rice when I served this Turmeric Cauliflower Fried Rice for dinner. “This is cauliflower? wow…I didn’t know!” was his expression. He loved cauliflower fried rice a lot. I made it almost twice every week with different varieties and both husband and father in law enjoy this dish. 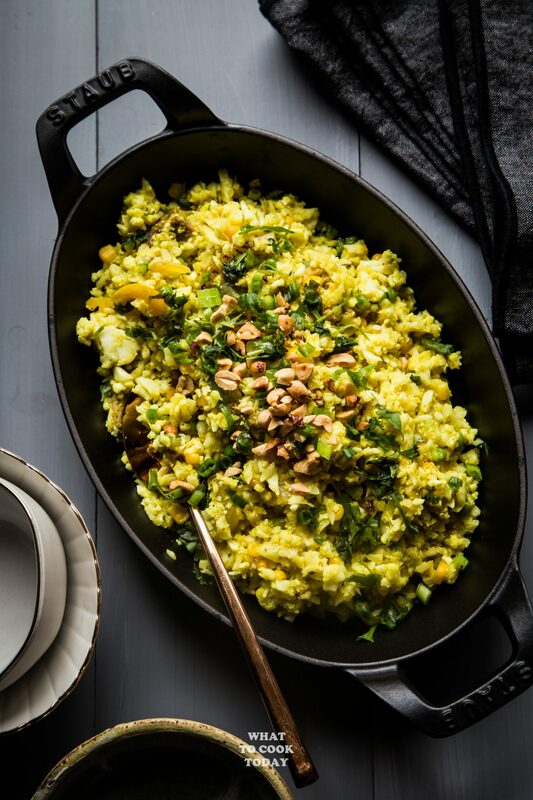 I like to add turmeric to fried rice because it’s an easy way to sneak in some turmeric into our diet. Turmeric (kunyit in Indonesia) is a common ingredient used in many cooking in Indonesia. Back in the old days, they are used as medicine for many illnesses and ailments. A lady with a bamboo basket on top of her head will walk from house to house trying to sell her traditional drink, known as Jamu in Indonesia, made with spices, herbs, and turmeric is one of the ingredients used. The native swears by Jamu to keep them healthy and strong. 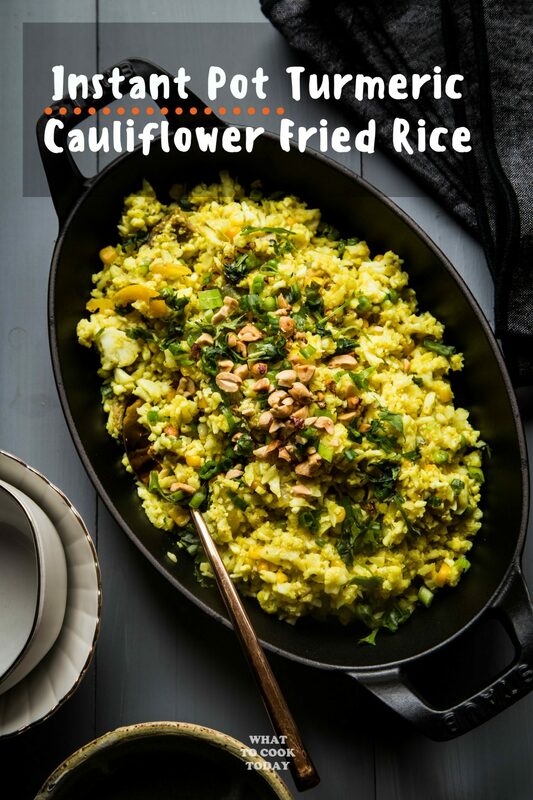 Cauliflower used to not getting much love in our house 🙂 I didn’t cook them as often, but now, it’s a weekly thing with this cauliflower fried rice. Nowadays you can see cauliflower is being sold in a grain/rice form. So if you don’t want to make your own cauliflower rice, they are readily sold at the store. 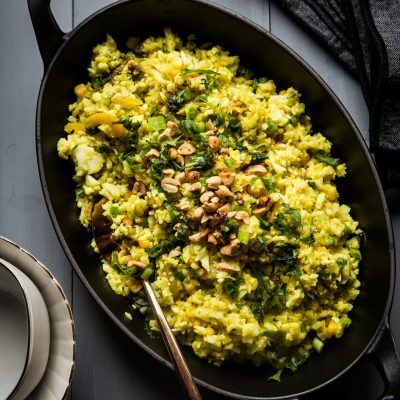 I don’t mind making my own cauliflower rice because I think it’s not that complicated. 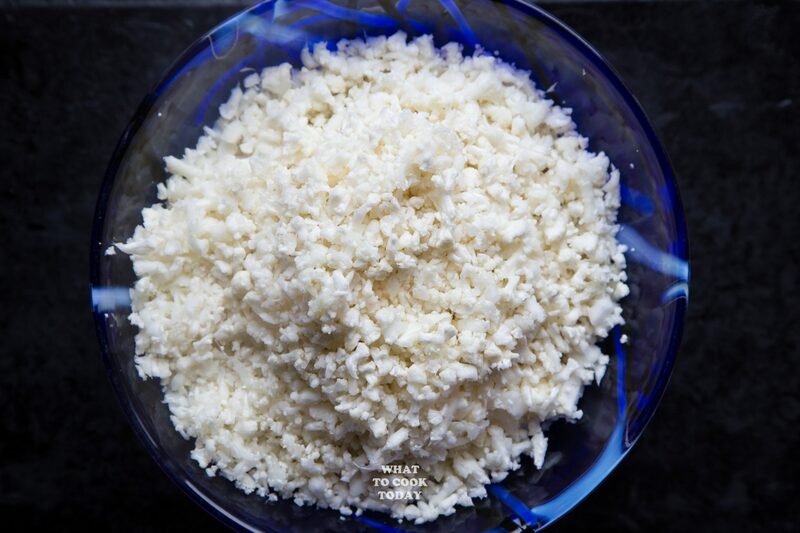 I use a food processor to pulse the cauliflower florets into grain consistency. 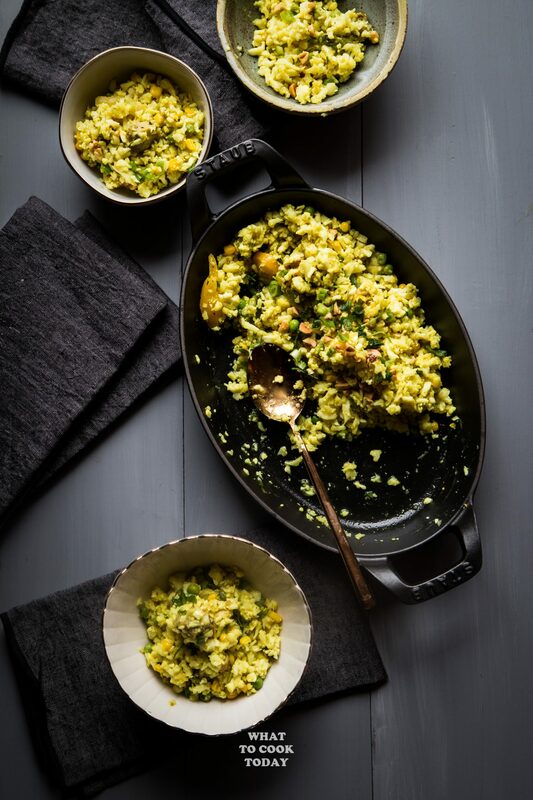 You can process the cauliflower into rice consistency and keep them in the fridge and they are good for up to 3 days. 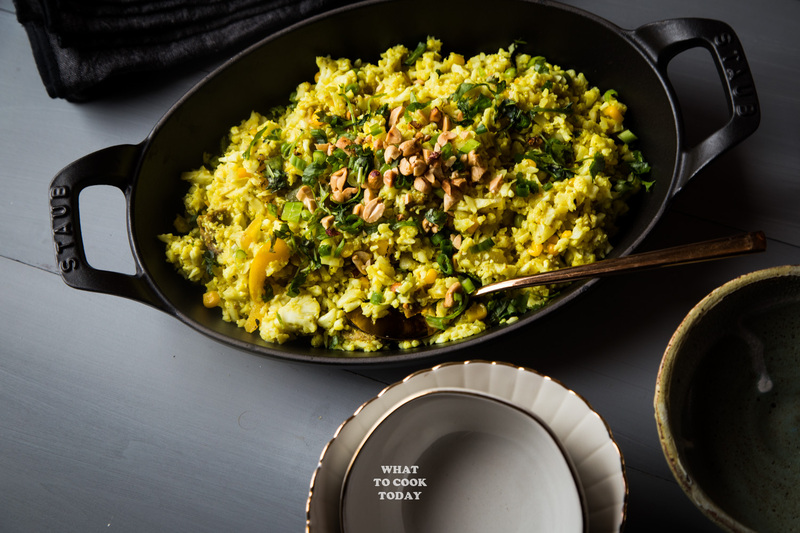 WHY IS MY CAULIFLOWER FRIED RICE IS “WET”? 3. You might be using too much liquid sauces in your stir fry that makes your cauliflower rice “wet”. I don’t use soy sauce to make the fried rice like I would with some other fried rice. I use salt to season at the very end. 4. Not adequate heat may also make your stir fry “wet” or soupy. I suggest not making to0 large of a batch especially when using Instant Pot. 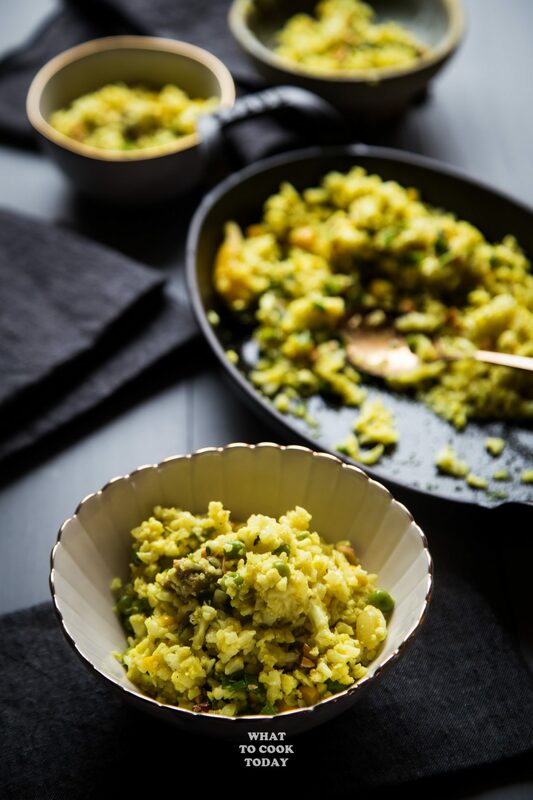 Turmeric Cauliflower Fried Rice helps to satisfy that craving for fried rice but with so much fewer carbs and it doesn't feel like you are eating a vegetable. 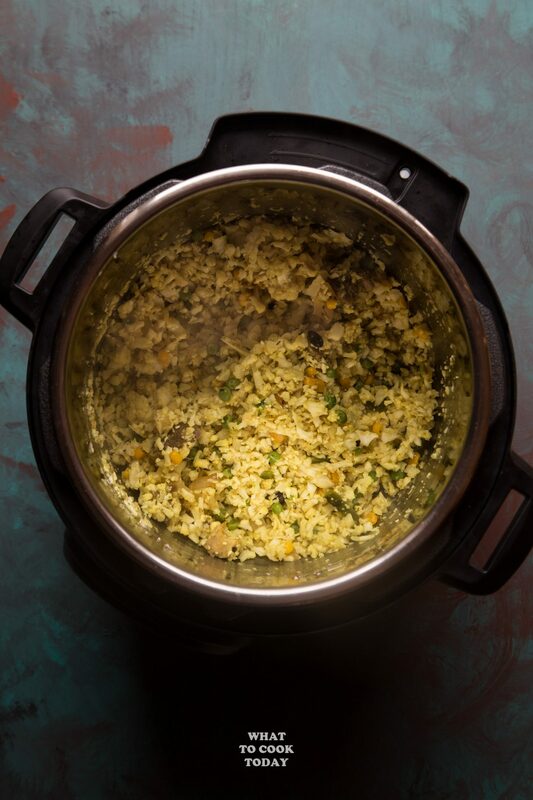 Can be made with Instant pot or regular skillet/wok.